Your summer will never be the same again, once you begin using Vacation Bible School Literature (VBS) produced by Caribbean Christian Publications (CCP)! Our VBS programme provides five days of Bible-related fun activities for four age groups from Beginners to Youth. Not only do students learn about the Bible in a fun way, but they also learn about Caribbean Christian leaders and missionaries. Students will see how lives can be changed through faith in Jesus Christ and obedience to Him. A different theme is studied each year at a level appropriate to each age group. CCP offers you an engaging and exciting VBS curriculum for 2017! Leader Packet – This contains administrative and promotional material, including the Joint Worship Handbook, Joint Worship Guide and pointers for the director or principal of the school. Teacher Packet- This is comprised of a Teacher Guide and a set of learner leaflets. Please note the new prices for the 2017 VBS material. Our VBS material comes in packets, which are sold separately for Beginners, Younger Children, Older Children and Youth. We regret to inform you that we no longer produce Adult VBS material. 1. Leader Packet – This contains basic VBS information, Joint Worship Handbook, Joint Worship Guide, Exploring Vacation Bible School Booklet, promotional posters and sheets for planning, attendance and evaluation. The Handbook is built around the year's theme and helps the VBS director to conduct a Joint Worship Service. Among the highlights of the Handbook are character stories about Christians in the region and elsewhere, who have impacted their world for Christ. 2. Teacher Packet - A curriculum guide for the teacher and reproducible learner leaflets for the students are found in the Teacher Packet. Suggested Bible-learning activities, games and craft geared to the age group support the weeklong theme. There are packets for the teacher of each age group: Beginners (Pre-school), Younger Children, Older Children and Youth. 3. Worship Music CD- The CD contains the instrumental and voice accompaniment for each song listed in the Joint Worship Guide. 4. 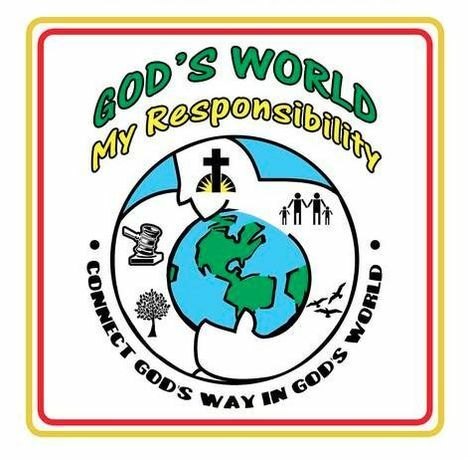 VBS Certificates - These certificates are for presentation to each pupil who attends the Vacation Bible School. They are sold in packets of 25.